The Moore 24 is a keelboat designed by Santa Cruz, California surfer/sailor, George Olson. It is one of the first ultralight displacement sailboats, entering production in 1972. This design, along with the Santa Cruz 27 and Olson 30, changed the world of performance sailing with their breakaway downwind speed. Rumor has it that George Olson was going to abandon the mold to the prototype Moore 24, Grendel, with a wild ride down a hill (in the mold of course) when it was rescued by Ron Moore and put into production. To improve on the sailing characteristics of Grendel, Moore used jacks to pry apart the original narrow-beam hull tooling, increasing the maximum beam by about one foot to 6'8". This resulted in the characteristic asymmetry of the Moore 24, where one half of the boat is about 2½" wider than the other. Despite this irregularity, Moore 24s appear to sail similarly on each tack. This fiberglass sloop is used primarily for racing and fast daysailing. In June 1975, the second hull out of the mold was sailed from Santa Cruz to Honolulu by David Ingalls and Jan Lippen-Holtz, thus demonstrating its seaworthiness. In the 1980 Singlehanded Transpac, three yellow Moore 24s were entered in the biennial race from San Francisco to Hanalei Bay, Kauai, Hawaii, sailed by Lester Robertson, Bob Boyes, and Chuck Hawley. It is said that, under the right set of conditions, a Moore 24 could beat a Transpac 52 to Hawaii, although that set of conditions ranks 3 standard deviations away from the mean. 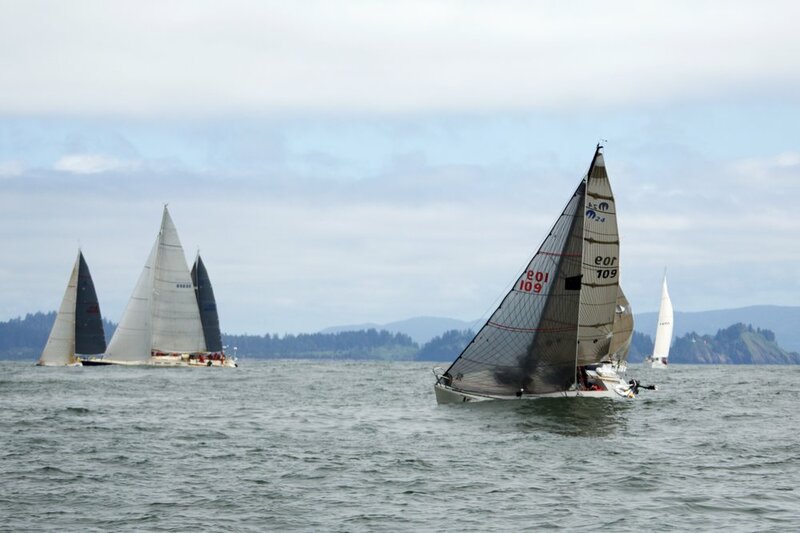 The Moore won the 1992 Pacific Cup, a race from San Francisco to Oahu, overall, as well as division and double-handed class. It has also won class firsts in other Pac Cups. In 2016 the Moore 24 Mas! won the Pacific Cup overall double handed by Mark English and Ian Rogers. The two set a new course record for the Moore 24 of 10 days 14 hours and 30 minutes with a 240 mile best 24 hour run.